The popular designs used in these salwar suits, which were inspired from the designs on the fort walls are the ‘Chatai’ pattern that is the ‘Mat’ pattern, the ‘Chameli ka phool’ pattern that is the ‘Chameli flower’ pattern, the ‘Eent’ pattern that is the ‘Brick’ pattern as well as the ‘Heera’ pattern that is the ‘Diamond’ pattern. These designs are found on Maheshwari dupattas, sarees and dress material even today. Everyone has equal right to look beautiful. Because your looks, your style gives you confidence which helps in your personality building. Fashion and style is a means of self-expression, actually it enables us to say something important to the world about who we are, or who we'd like to be. As per a famous quote "Style is a way of saying who you are without saying anything". The way we dress up or carry ourselves actually reveals our inner personality. A respectable appearance is enough to make people know about you. Our dressing effects even to people we don't talk with directly. In short words it’s our identification of our personality and for sure our first expression. Dupattas are a integral part of indian women's attrire and add a lot of color and style to a dress. They are normally worn with a traditional indian dress called salwarkameez, but also with ghaghra and kehenga. Also called odhani in some parts of India, dupattas truly are a beautiful creation . Multiple types of dupattas include colorful and magnificient handembroidered phulkari dupattas from Punjab, hand embroidered silk and cotton kantha work dupattas from west bengal. Chanderi and maheshwari hand block printed dupattas from MP and silk stoles and dupattas from kanjivaram and mysore in soutch India. Phulkari dupattas were earlier given as a part of the wedding to the bride groom. However, over a period of time this craft has evolved to create dupattas with lighterhandembroidery which can we worn in a casual occasion. Phulkari dupattas are of multiple types. The first type includes It comprises of motifs of flowers, fruits, vegetables, rivers, sun, moon, birds, animals etc. The popular baghs include Dhoop-chhaon (sun-shade), Dhaniya bagh (coriander), Karela bagh (bitter gourd), Gobhi bagh (cauliflower), Mirchi bagh (chilli), Motia Bagh (jasmine), Panchranga bagh (five-colored), Satranga bagh (rainbow), Leheria bagh (wavy) etc. The second type includes designs are based upon the folklore and motifs from daily life. These comprise of buildings, train on wheels, pots etc. The famous baghs under this category contain Shalimar charbagh and Chaurasia bagh, which are popular gardens. The third type has geometric patterns all over. Handblock printed dupattas come from various parts of India. The most famous places for weaving and printing such dupattas and stoles and maheshwar and chanderi in Madhya pradesh state of India. 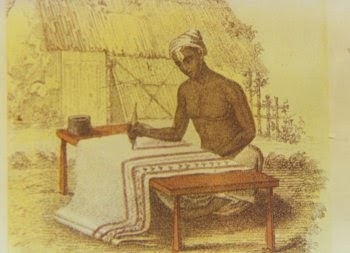 Both the places have more than 150 year old tradition of weaving and printing. One of the styles of hand block printing worth mentioning is the earli print. The warli print depicts motifs of tribal men and women involved in dance and celebrations all over the fabric. In hand block printing, the design is first drawn on wood using a sharp needle and then the desired design is carved using the chisel, hammer, file, nails etc. The printing involves laying the cloth/fabric, which is to be printed, on flat tables and impressions are made using the beautifully carved blocks. In case of direct printing, the block is dipped in the colored dye and impressions are made. In case of resist dyeing, impression of an impermeable material (clay, resin, wax etc) is made on the fabric which is then dyed in the desired shade. GiftPiper.com had got a large collection of many types of dupattas and has truly earned the trust level of its clients. We have came a long journey of struggle to gain the level of trust our customers have on us. Trust is something you earn. We are earning trust by our quality work, dedication and by valuing the satisfaction of the customer.